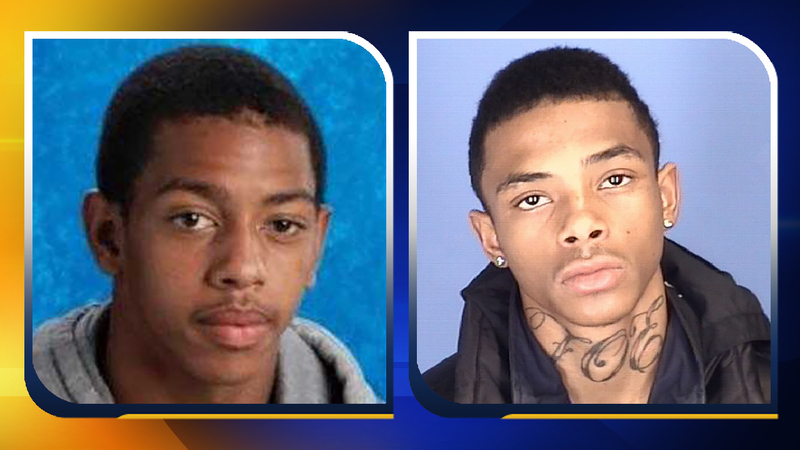 BURLINGTON, North Carolina (WTVD) -- Burlington Police have one man in custody but continue to seek their main suspect in the November 7 fatal shooting of a 17-year-old. Daquan Amare Rogers, 18, of the 600 block of Hollow Street in Graham, was arrested at his home by Graham Police and charged with accessory after the fact and harboring a fugitive in connection to the slaying of Travonte Contrell Compton. Burlington Fire and Alamance County EMS responded and pronounced Compton dead at the scene. Officers identified Najee Camell Moore, 17, of Burlington, as the suspect. Police obtained a warrant charging Moore with first-degree murder. Moore remains at large and his whereabouts are unknown. He should be considered armed and dangerous, police said. In addition to the charges related to this case, Rogers was also charged with possession of a weapon with altered serial number and carrying a concealed weapon. Rogers is being held in the Alamance County Jail under a $525,000 secured bond. Anyone with information concerning Moore's whereabouts is asked to please call the Burlington Police Department at (336) 229-3500. For anonymous methods, call Alamance County-Wide Crimestoppers at (336) 229-7100 or text 8398 to 274637 for a text-a-tip method, both with possible cash rewards.